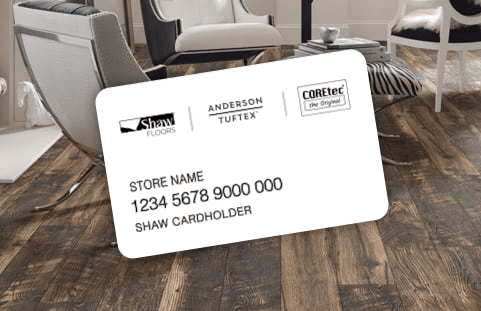 As you consider the flooring that fits your lifestyle, take advantage of Shaw’s special financing offers. Here’s how it works. Complete the Shaw credit card* application and you will receive a quick credit decision. This will give you buying power and convenient payment options so you can purchase the floor you have always wanted.